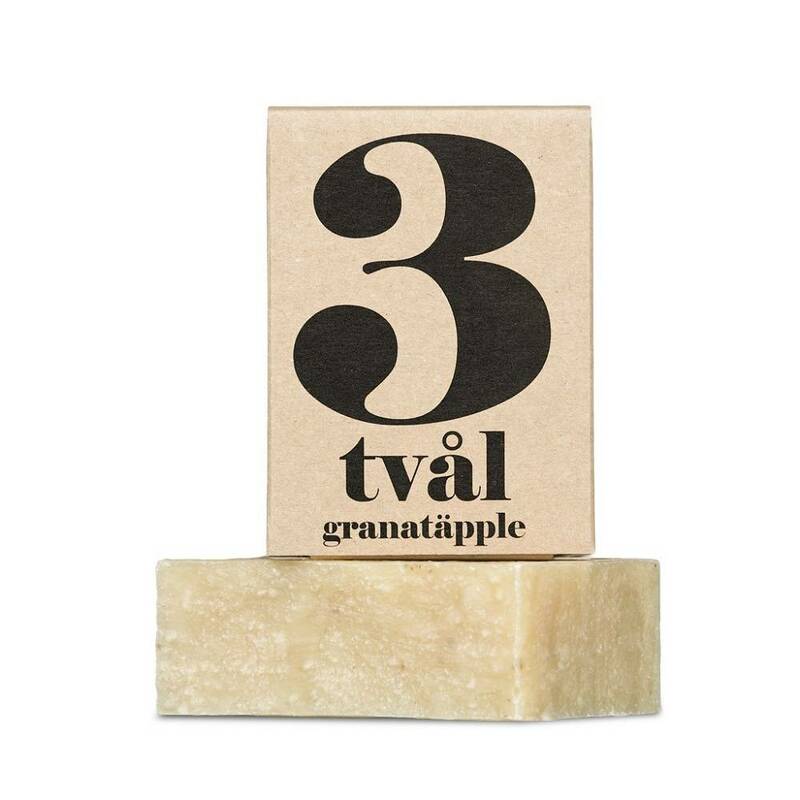 Spa Series soap no. 3 Pomegranate contains nourishing and moisturizing shea butter. Pomegranate (punica granatum) extract and flowers promote skin repair and regeneration. The extract is rich in anti-oxidants protect your skin while its Vitamin C content help in forming new collagen giving your skin increased elasticity. Natural fruit acids gently exfoliate your skin. The Spa Series natural soaps are crafted and cut by hand and left to dry. 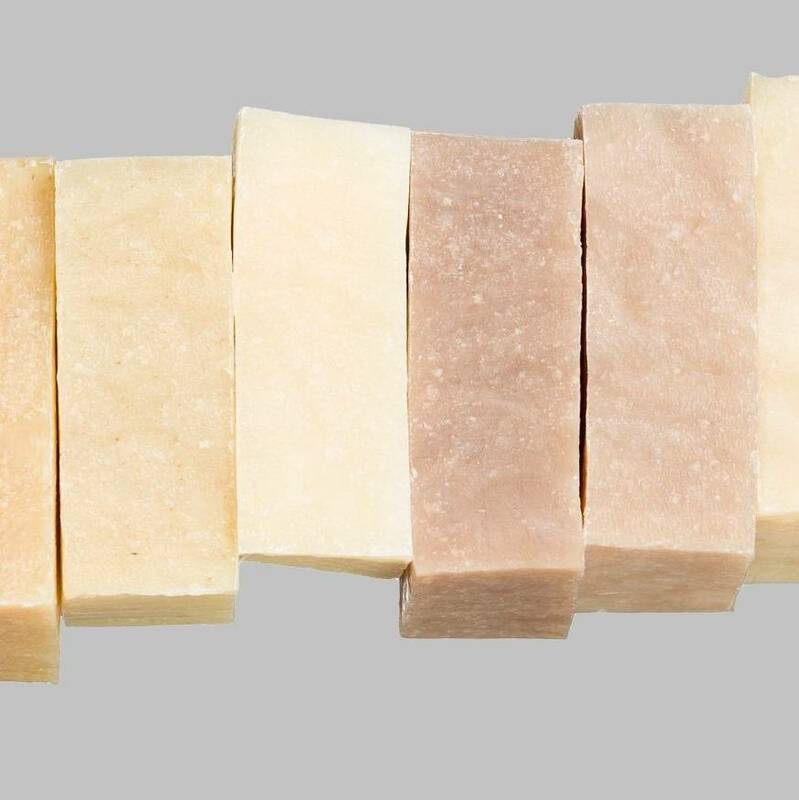 This is how each bar of soap becomes a unique product and can differ slightly in size, shape and weight. 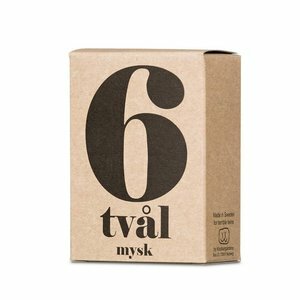 The soaps are packaged in brown, recycled paper boxes with the number of the scent printed on the front of the box in the Spa Series bespoke, bold typography. Contains essential oils.